In 2018, the genocidal human rights disaster encountered by Uighur people in East Turkistan (a.k.a. Xinjiang, China) caused strong indignation from people all over the world. At the same time, Uighurs also received selfless help from many prominent individuals. 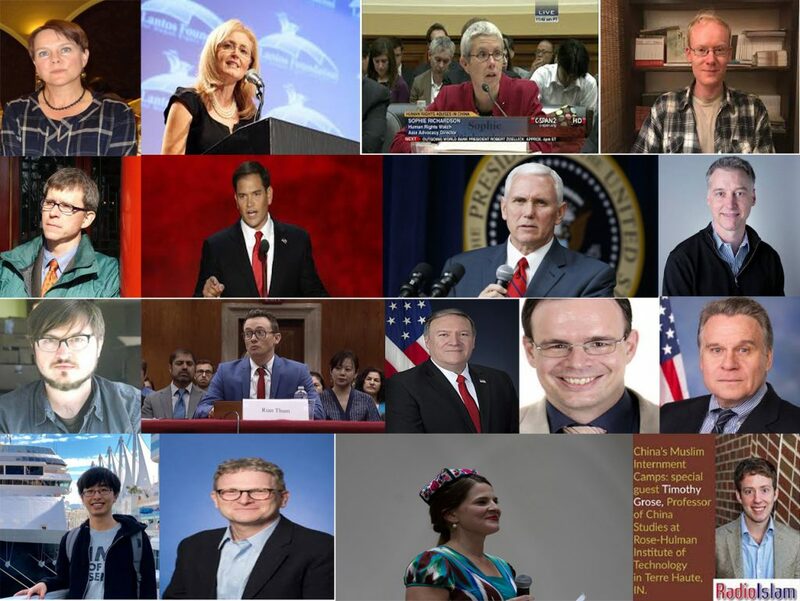 Here we have selected some of the most enthusiastic people who have made significant contributions to Uighur cause in 2018, in order to remember them and to thank them for their help to the Uighurs. Our list may not be complete, and some content may be controversial. But we believe this article will remind you of some of the important events about Uighurs that took place in 2018. The efforts of these people made us more convinced of the power of truth and led us to realize that humanitarian care and the pursuit of fairness and justice can cross national borders and transcend ethnic or religious boundaries. The achievements of some of these individuals have even surpassed the Uighur diaspora and gained worldwide positive impact. At the same time, their achievements also showed that the Uighurs themselves need to work even harder to solve the crisis of life and death of their nation. 1) Activists should have made significant contributions to improving the tragic condition of Uighurs today. 2) This selection list is in no particular order and does not have any authoritative value. All content represents the author’s personal opinion. 3) This list only includes individuals. Overseas media and organization groups are not included. 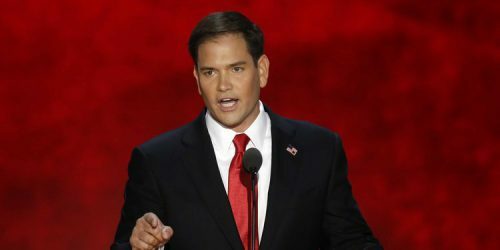 Mr. Rubio is a republican senator from the United States and is currently the co-chair of the Congressional-Executive Commission on China (CECC). Senator Rubio made tremendous contributions to the Uighur human rights. He prepared a well-documented report on the concentration camps (so called “re-education camps”) in East Turkistan. 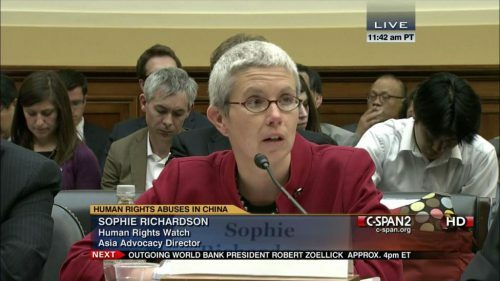 He organized three hearings on Uighur human rights issues in the U. S. Congress. Also, he arranged a large-scale press conference on Uighur issues. In addition, he submitted the Uyghur Human Rights Policy Act of 2018 (S.3622) to the U.S. Senate. He called on the U.S. government to use the Global Magnitsky Act to punish a group of Chinese officials headed by Chen Quanguo who have severely violated the Uighurs’ human rights in East Turkistan. 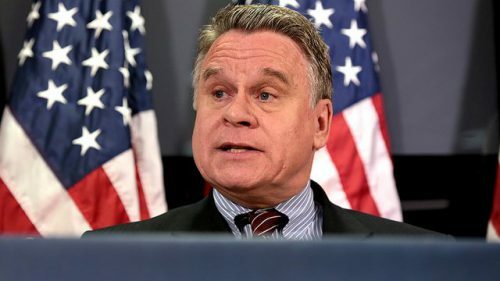 Mr. Smith is a republican congressman from the United States and is currently the co-chair of the Congressional-Executive Commission on China (CECC). Congressman Smith has worked closely with Senator Rubio mentioned above in all of those areas. The two joined forces to introduce Uighur human rights issues in the U.S. Senate and House of Representatives. He introduced the Uyghur Human Rights Policy Act of 2018 (H.R.7123) in the House of Representatives. Ms. Zuberi is one of the most vocal activists among the Muslims who are concerned with the Uighur crisis. 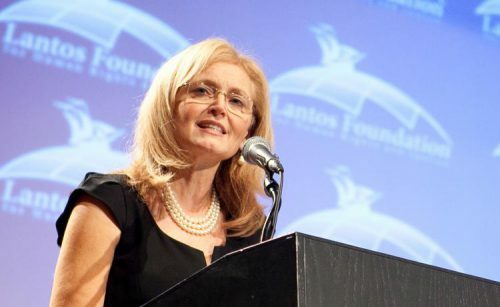 She joined the establishment of Burma Task Force (BTF) which is a coalition of 38 organizations from the U.S. and Canada, in response to the Rohingya genocide in Burma. Ms. Zuberi also established the human rights organization called Ummet Uighur Union to help the Uighur people who are suffering from the anti-human crimes has been committed by the Chinese regime. 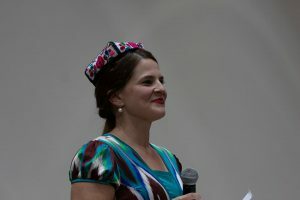 She organized two events in the Washington, D.C. area to raise awareness on the Uighur crisis among the Muslims and news media. 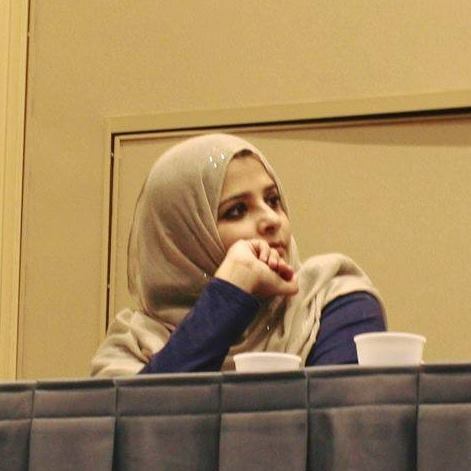 She is currently continuing her efforts to help raising awareness on Uighur crisis among Muslims in the United States. Dr. Zentz is a researcher who specializes in Tibet and East Turkistan at the European School of Culture and Theology in Korntal-Munchingen, Germany. He is the first scholar among the international scholars to publish a systematic and detailed report on the issue of Uighur people being sent to the concentration camps. 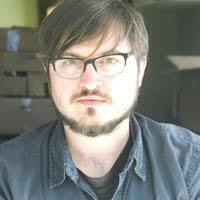 He was known for his article about the concentration camps in East Turkistan, published in May, 2018 on the Jamestown Foundation. His research findings about the camps played a major role in recognition of the existence of concentration camps by the international society. 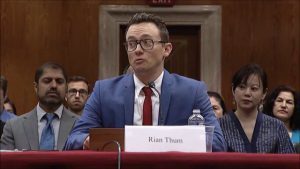 He also testified in the United States, Europe and Canada about the concentration camps and China’s anti-human crimes against the people of East Turkistan. 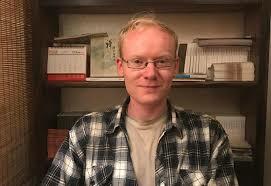 Mr. Bunin is a Russian American independent researcher who had spent several years in East Turkistan. He speaks both Uighur and Chinese. He studied Uighur language and culture, and he had very good relationship with local Uighurs while he was in East Turkistan. He witnessed what happened to his Uighur friends and other Uighur people inside and outside of East Turkistan before he was blacklisted by the Chinese police in Kashgar and forced to leave East Turkistan. He has published more than 5 articles on the current situation of Uighurs based on his personal experience. In addition, he also established a database (www.shahit.biz) for the victims of the concentration camps in East Turkistan to collect testimonies of victims in Uighur, English, Russian, and other languages. 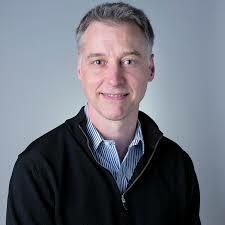 Dr. Thum is an Associate Professor of History at Loyola University New Orleans. He had studied Uighur language and conducted research in Urumchi, East Turkistan. He is one of the very few academics who published an article on the New York Times on the current situation of the concentration in East Turkistan. He was also interviewed for an article about Prof. Rahile Dawut published on the New York Times. He petitioned with other concerned scholars of Xinjiang ( East Turkistan) for the release of Prof. Rahile Dawut and other intellectuals in East Turkistan. He put tremendous efforts to search for the missing Uighurs. He spent most of his time in 2018 on researching about Uighurs. His book, The Sacred Routes of Uighur History, has won many prestigious awards. 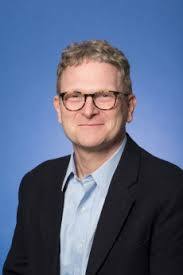 Dr. Millward is Professor of Inter-societal History at the Walsh School of Foreign Service, Georgetown University. He follows and comments on current issues regarding the Uighurs and China’s ethnic policy. He is one of the most respected top scholars in the academic field of both Uighur and Chinese history. He published an article in Feb., 2018 on the NewYork Times about the inhuman state surveillance enforced in East Turkistan by the communist Chinese regime. 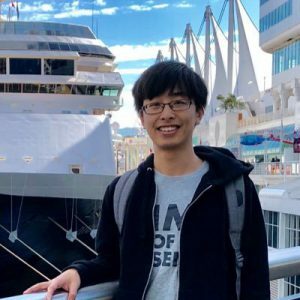 Mr. Zhang is a law student at the University of British Columbia in Canada. He hopes the international community can press China to end the “re-education camps” (concentration camps). He is one of the most well-known human rights advocates on the matter of Uighur human rights crisis. He played a major role in locating the concentration camps in East Turkistan using Google satellite images. He continues to advocate human rights for Uighurs and Tibetans despite the threats he and his family received from the communist Chinese regime. He posted many of his findings about the Uighur camps on medium, twitter and other social media. There are many news articles published based on his work on concentration camps in East Turkistan. His work played a very important role in publicizing the existence and enormous scale of the concentration camps to the members of the government, academics, etc. 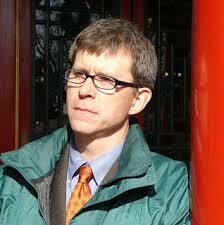 Dr. Byler is a lecturer in the Department of Anthropology at the University of Washington. His research focuses on Uighur dispossession, culture work and “terror capitalism” in the city of Urumchi, East Turkistan. He has been to Urumchi to study Uighur folklore and society while he was a doctoral student. During this period he met many Uighur youths, poets, and musicians. He testified on Uighur human rights violations at a meeting of the House of Commons of Canada. He has published more than 20 articles about Uighurs on many international mainstream news media such as CNN. He presented at five academic conferences on Uighur studies. 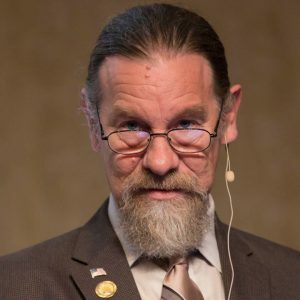 He is the founder of one of the most well-informed websites (https://livingotherwise.com/) on Uighur studies. Dr. Roberts is a professor in the Department of Anthropology at the George Washington University. He is one of the top scholars who have been researching Uighur society for a very long period. In 2018, he has sponsored and helped organizing three academic conferences on Uighur issues at the George Washington University. He is one of the sponsors of the Concerned Scholars of Xinjiang (East Turkistan), which calls upon the international community to take actions in regard to the mass human rights abuses and deliberate attacks on Uighur culture in East Turkistan. 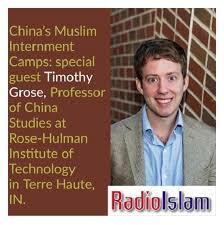 Dr. Grose is professor of China studies with expertise in ethnic policy at the Rose-Hulman Institute of Technology in Indiana, United States. Dr. Grose’s research has been focusing on Uighur language and culture and he has wide connections with some Uighur scholars. He has published several research papers related to Uighurs on conferences held at Indiana University. He has been raising awareness about the tragic reality of Uighur crisis through his twitter account. 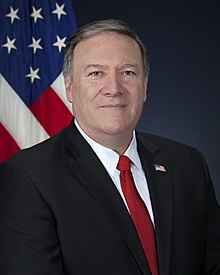 Mr. Pompeo is the Secretary of State of the United States. He raised Uighur issues in public the most in the U.S. history. Mr. Pompeo criticized the Chinese regime’s persecution of Uighurs at six occasions. Mr. Pence is the Vice President of the United States. Vise President Pence has raised Uighur issue in front of public media three times and mentioned the illegal detention of at least one million Uighurs in Xinjiang Uyghur Autonomous Region, China (East Turkistan) in his famous speech at Hudson Institute. 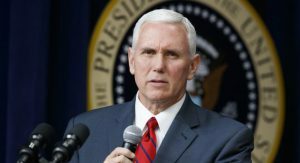 Vice President Pence is the highest level government official in current U.S. administration who publicly expressed his concern on Uighur issue. Well known as Nazaket (elegant in Uighur) to Uighurs, Elise who is a doctoral student at Indiana University has engaged in Uighur music research in Urumchi, East Turkistan. Deeply connected with Uighurs, she impressed her sympathy toward them with her professional level Uighur language and music skills. She courageously described what she has seen in East Turkistan to the public at conferences related to Uighur issues held in Indiana University and George Washington University. She frequently writes on social media about the endangered Uighur art and mass arrestment of artists in East Turkistan. Also, Elise initiated several fund raising activities to help the Uighurs’ movements abroad. 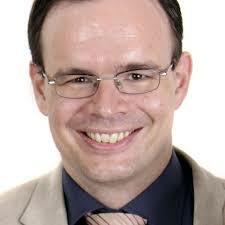 Dr. Harris is a researcher at the London University. Dr. Harris has been engaging in research on Uighur social culture for more than 20 years. In 2018, Dr. Harris gave detailed introduction of the current states of Uighurs on hearings about Uighurs held by European and UK parliaments. At the same time, she constantly voiced for Uighurs on international media. Her article “People’s war on terror” published on Rights Practice aroused an international outcry. Called by Uighurs as “Bawdun”, Dr. Bovingdon is a professor and the director of the Central Asia Research Center at Indiana University. Dr. Bovingdon opened a course titled “Modern China’s Policy on Xinjiang” and gave three lectures about the Uighur human rights crisis in university classrooms. In 2018, Dr. Bovingdon expressed his regret and anxiety about the Uighur human rights crises. Also, he substantially contributed to the Uighur cause. In Oct., 2018, Dr. Bovingdon organized a panel discussion about Uighurs’ current situation with 10 other Uighur specialists, which catched public attention in the United States. 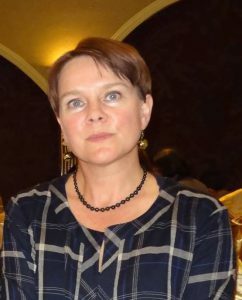 Newcastle University Uighur specialist Dr. Smith Finley has committed to understanding Uighurs’ sense of identity and their fight against central government policy for more than 20 years. In the summer of 2018, she conducted a field trip in Urumchi and Kashgar of East Turkistan. She said that she has been doing research about Uighur society for more than ten years but this time she witnessed the hopelessness, disappointment and pain of the local people. Dr. Smith Finley has a deep love and passion for the Uighurs and their culture. 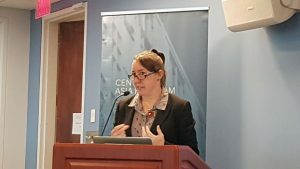 During her lecture on a conference about Uighur issues held by George Washington University on November 2018, she could not hold her tears several times because of her unbearable witness of the tragic reality of Uighurs in East Turkistan. Mr. Jack E. Churchward Sr.
Mr. Churchward is a U.S. based independent human rights activist. Mr. Jack is a long term supporter of the human rights of Uighurs and Tibetans who are suffering from the persecution of Chinese communist party. In 2018, he became well known among Uighurs by initiating a petition titled as “Condemn the PRC’s Arbitrary Detentions and Human Rights Abuses in Xinjiang Uighur Autonomous Region”. Mr. Jack also actively shared news reports and reviews about current Uighur human rights crisis on his Facebook account. Due to the limited space, Uighur Times is unable to list all the friends who have voiced for Uighurs. On behalf of Uighur Times, we thank all of our friends who have stood firmly with Uighurs in their fight for freedom and justice. Uighurs will never forget your kindness.